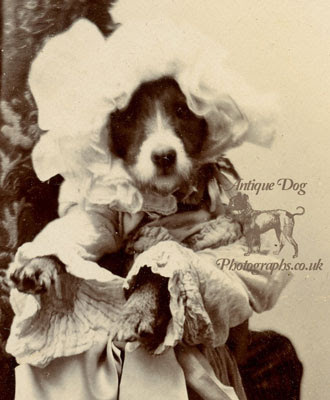 No your eyes are not deceiving you, what we have here is not a delicate old lady, but a little terrier dressed up! The shoulder of the dog's owner can just be seen on the right as they hide behind the carefully placed fabric curtain to hold the dog up for the exposure. 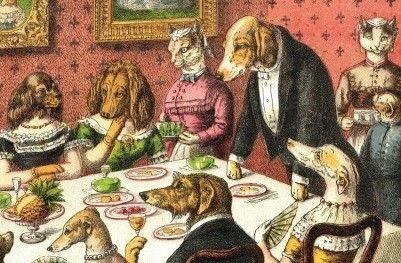 The Victorian era was one where the relationships & connections between the human and animal kingdom were hotly debated. In art and literature the dog became symbol that could represent any number of values and social stereotypes. 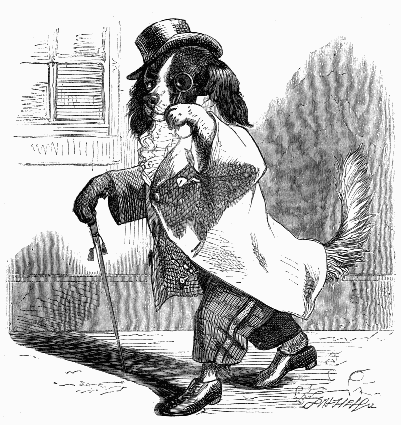 Depictions of anthropomorphic dogs (dressed as humans) helped the anti-vivisection movement of the time to bring the debate on animal treatment to a wide audience. With the photograph I'm certain however there was no bigger social commentary going on, just a bit of fun! 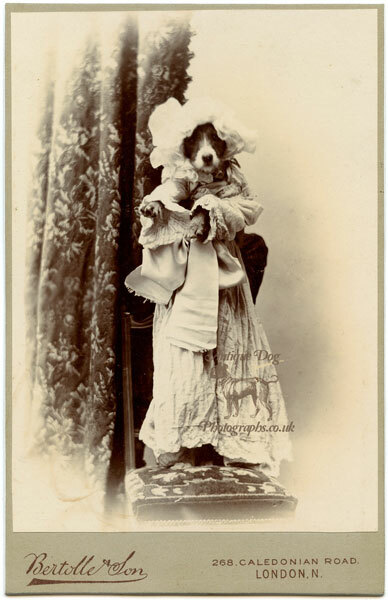 Who won't want to see if their favourite pet suited a dress and bonnet? The photograph was taken in London by Bertollé & Son's Studio, 268 Caledonian Road, Islington. 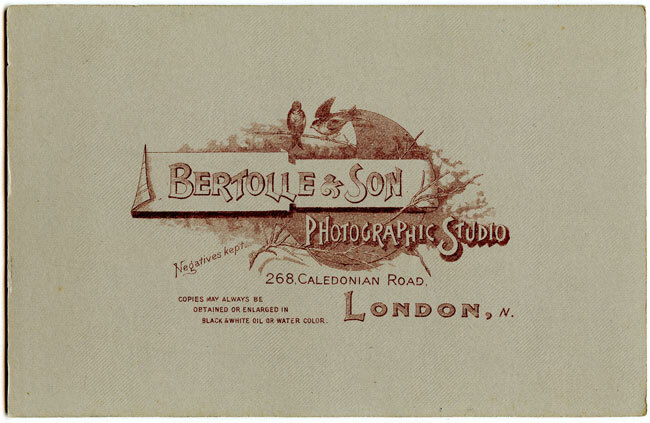 The Studio was operated by photographer James Parton until 1857 when he was succeed by James Bertollé. 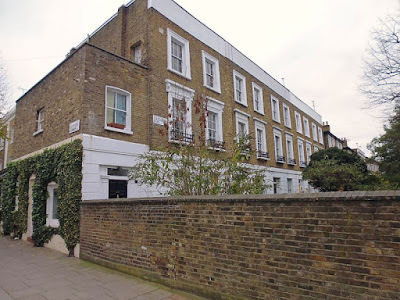 The Studio stayed in the Bertollé family, and his son, James Lewis William Bertollé continued the business, with his own son joining him in 1890 (another James!) James Charles Bertollé. James Lewis was a banjoist as well as a photographer, teaching James Charles to play the instrument at an early age. By 1897 James Charles was not only working as a photographer with his father but playing banjo concerts and teaching between 30 and 40 banjo lessons per week. The Studio at Caledonian road must have been very busy! At the studio they also sold "Dexter" banjo's, named after James Charles' banjo duet band name "The Dexters". The Studio at 268 Caledonian road is still standing, and is now several grade-II listed flats.